Blog posts with relevant links, updates, news, videos, tools and advice about Online Software. Enjoy, this in incredible. I know I will be recommending sponsor IBM’s stock and any other company that decides to move forward with this technology. ShowDocument-light and free application for online collaboration. I was recently introduced to ShowDocument – an online application which enables real-time collaboration and web meetings using various tools. There are a lot of available programs already offering web conferencing solutions , so what’s different about this one? First of all, using ShowDocument requires only registration, and is entirely web-based – except for a small plug-in you’ll be asked to install in your first session. This online service is currently free and supports different platforms, which can make it an attractive alternative for conducting web meetings. The main site offers 4 ways to directly open a web meeting and start collaborating – shared documents, whiteboard, text editor or co-browser. These options can also be chosen later from within the application. Inside the program, you have the regular tools that help you write and draw in order to work on documents and images, along with a few unique features. 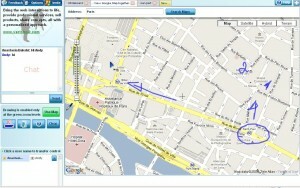 There is a Youtube co-browser, and a Google Maps browser, which simply enables co-browsing google maps (see image), and drawing on them. – apparently it also has a facebook application. 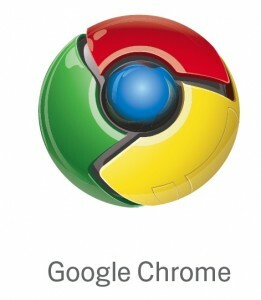 The webpages co-browser still needs improvement but has great potential. ShowDocument has a number of easy and interactive ways to collaborate with co-workers & friends, as seen in the above picture. As you can see, most of ShowDocument’s options are rather self-explanatory, making usage easy, as well as inviting others into the web conference – which can be done by code or link. Its an alternative worth checking out, if you need a light and free application for online collaboration. Article submitted and written by Andy Stewart. If you are interested in writing about a topic, please use the contact form. If you are lucky enough to test Google’s new revolutionary collaboration tool, Google Wave, be happy. But, confusion and questions have risen about just how to use it and/or maximize the software’s potential. That is where these two Google Wave Guides can come in handy. One is from Mashable, Google Wave: A Complete Guide, by Ben Purr and the other is called The Complete Guide to Google Wave, by Gina Trapani with Adam Pash. I do hope these two links can help you learn the future of email and online collaboration better. Google Wave may be complicated but guides like these sure help. This article, “5 New Technologies That Will Change Everything” from PC World by Glenn Fleishman is all about some future technology that is coming in the not-so-distant future. 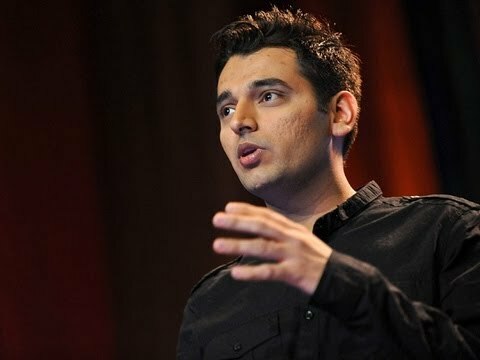 He disscussed 3D TV, HTML5, video over Wi-Fi, superfast USB 3.0, and mobile “augmented reality.” All these future techn0logyies will emerge as breakthrough technologies in the next few years! Read the article to get a preview of what they do and how they work. Personally, I’m extremely excited about 3D TV and improved Wi-Fi. But each of these upcoming technologies will have an impact on our lives. Hopefully in all positive ways. Although augmented reality could be a bit much. On 3D TV Sets: “Poor expects that 3DTV will be but a minor upgrade to existing HDTV sets. The upgraded sets will need a modified display controller that alternates images 60 per second for each eye, as well as an infrared or wireless transmitter to send synchronization information to the 3D glasses.” That is great news because I love my TV and do not want to spend another grand to upgrade. In addition, I hope video games also have the 3D ability. So please take a look at 5 New Technologies That Will Change Everything. Read the full description on 3D TV, HTML5, video over Wi-Fi, superfast USB 3.0, and mobile “augmented reality. Douglas MacMillan over at Business Week brings us this article on Google’s 20 Hottest Tools. A cool list of many of the awesome things Google has been working on over the years. I have convered many of them, including Google Wave, Google SikiWiki and Google Patents. But this list contains some that I bet you may have not heard of including Google Heath, Google SketchUp, Google Mars, and Google News Timeline. Give the article, Google’s 20 Hottest Tools, a look over and learn more about all the awesome things Google adds to our lives. Ever find yourself needing information on a patent held by the U.S. Patent & Trademark Office? I have and can’t begin to tell you how confusing and frustrating the online U.S Patent Office’s Web can be. Google to the rescue. Google’s own Patent Search, launched in 2006, uses the full-text search capabilities it developed for Google Book Search to deliver more relevant results. Give Google Patents a try before http://www.uspto.gov/. There are so many Web sites out there that feature videos of all types. Then there are the sites out there that feature videos specific for a topic, like Automotive, such as my personal favorite site StreetFire.net. Then there are sites that combine the two where nice categories hold the featured videos. Some sites get it right, many don’t. When I found Videojug.com recently, I thought it was the best of both worlds. Videojug takes the most relevant videos that are aimed at helping you get better at something. Take for instance, golf, my long-passion and sports hobby. Actually helpful and specific golf self-improvement videos are featured. This is great, because sometimes I just do not care to see your hole-in-one featured on page one. But, a video that helps me get an eagle or two, bring it on! What was even more impressive was that they broke down the videos into even more specific categories, like “putting”, “golf technique” and the “grip”. That surprised me. I’m also starting a new project soon related to golf, soon to be live. LoveOfGolf.us/info/net/biz are registered under me now. I really want LoveOfGolf.com but the seller requested $4,000+ for it. I declined when I looked at the number of competitive golf-related sites out there that are decent, already established and for sale at a cheaper price. In addition, my goal is to share my passions and knowledge of with the world, not make a profit from it. I just cannot take on that kind of overhead with no intention of getting my return on investment. To get back on topic, check Videojug out and start learning something new. They feature just about everything from cooking to automotive mechanics. I’m sure that there is a featured video that is sure to help you out. The question the developers asked if email was invented today, what would it look like and ultimately how would it work? Google Wave is the answer. If you have some time, check out the long demonstration video below of the conference back in May. Here’s how it works: In Google Wave you create a wave and add people to it. Everyone on your wave can use richly formatted text, photos, gadgets, and even feeds from other sources on the web. They can insert a reply or edit the wave directly. It’s concurrent rich-text editing, where you see on your screen nearly instantly what your fellow collaborators are typing in your wave. That means Google Wave is just as well suited for quick messages as for persistent content – it allows for both collaboration and communication. You can also use “playback” to rewind the wave and see how it evolved. Some key technologies in Google Wave include real-time collaboration tools, Natural language tools, Extending Google Wave. I especially love the playback ability and the instant ability to see the message as it is being typed. Think about just how much time one can save when one can plan there response as someone forms their message. This is in contrast to the typing icon that currently works in most email and instant message applications. What is also great is you can turn this feature off, helpful for those of us who are not quite sure about spelling or a quick response. But these features are just bonus to an revolutionary online tool! In the near future, there is little doubt that Google Wave will have a major impact on the way we all email and share online. If you would like to give it a shot, try your hand at requesting an invitation. 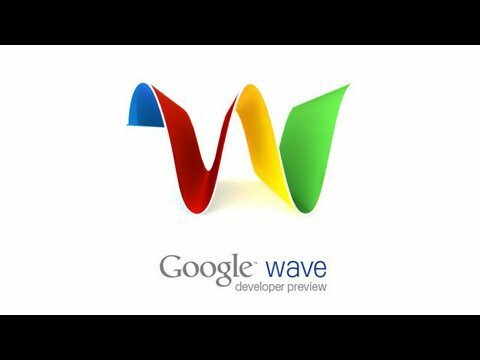 I am still eargerly awaiting the official release of Google Wave, which is supposed to be coming very soon last this year! As soon as it is released I will make a new blog and let you know.